I recently picked up Citizen Brick's Limited Edition Polar Commando. Each Minifigure is individually bagged with a card and hand numbered. Only 500 were made so you might want to get one sooner than later. The printing quality looks superb, all of Citizen Bricks minifigs are pad printed just like lego and the metallic visor is a nice touch. 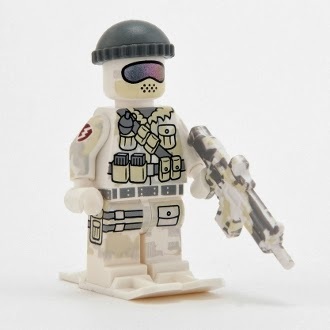 It's a must have for LEGO Military fans. 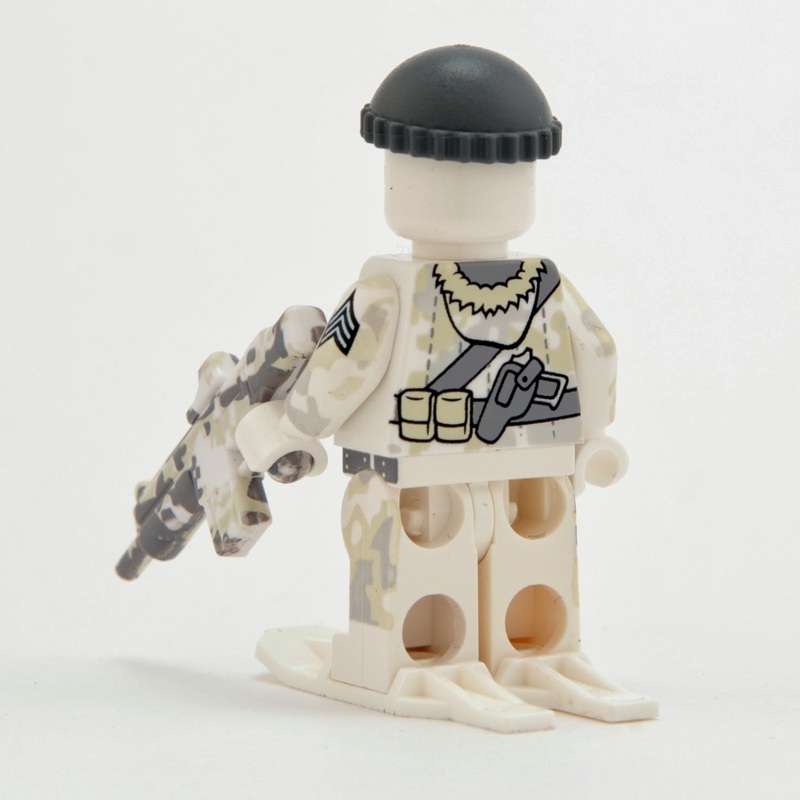 Introducing the latest in Citizen Brick's ever-expanding line of deluxe premium printed minifig: the Polar Commando. Limited to only 500 pieces, these will be long gone before first snowfall. Packaged in it's own, hand-numbered envelope, the Polar Commando makes a fine addition to collection.